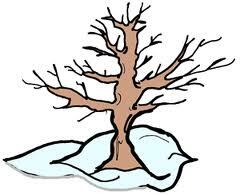 After watching S's little bean sprout over the last weeks, I've started wondering how my tree buds will sprout. I've been thinking of them as spots where new leaves will just pop out. But is that what happens at the buds? If that's so then when do the branches ever grow longer? 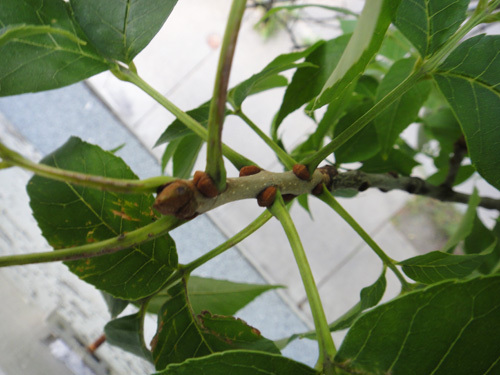 Is it possible that new branches will shoot out from the buds, with new leaves off of them? Perhaps the new shoots would even push the bud out along the end, like S's bean sprout keeps part of the bean up at the top. My tree isn't telling me, so I went searching around the neighborhood for some signs of new growth on other trees and I found some interesting things. 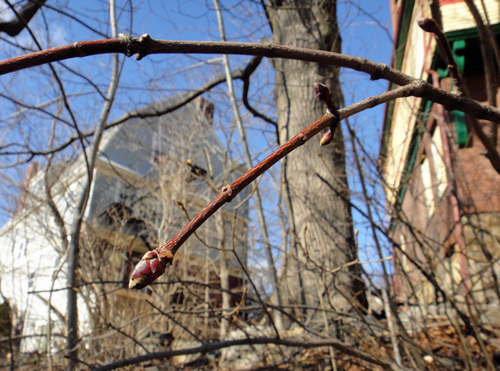 The narrow little branch coming off after the cluster of buds is a lighter, redder color than the rest of the twig. Did that just grow in the last few weeks? It looks really new and young. It's so colorful and smooth. 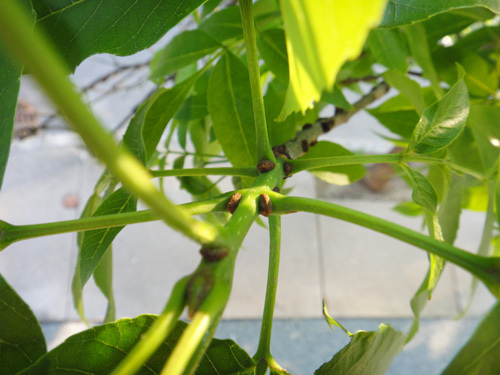 Are those little buds that are all clustered together also growing farther and farther away from that older looking part of the twig? 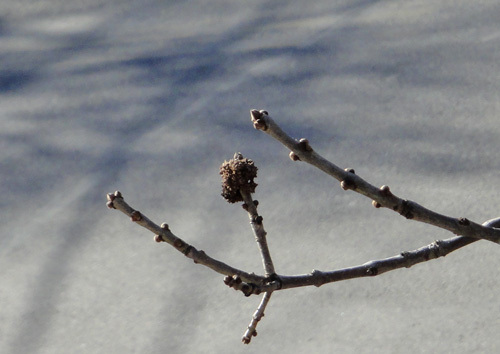 Here's another photo of a different twig on the same tree. You can really see how much lighter and redder this part is. And again there's two other little buds right there where the color changes. It's just as if the twig was growing from that point that is now in the middle. 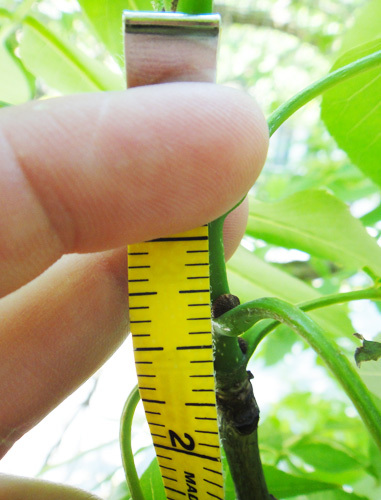 And here's another little tiny twig I found on a small tree near the one above. The house behind these trees recently burned down and many branches were broken off as the firefighters were battling the blaze. I felt like it would be okay to snap off a tiny twig from the baby tree as it was almost completely severed from it tiny little trunk. 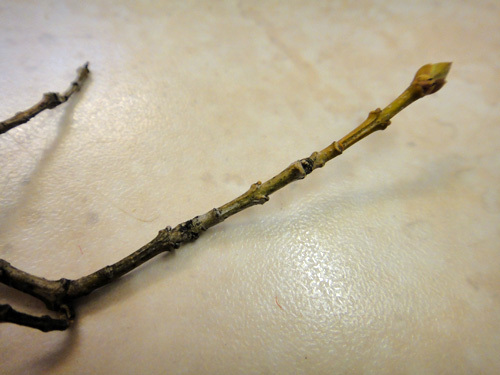 Look at how green the end of the twig is! The bottom part looks like a normal grayish twig, then there are some of those knuckles I noticed on a twig from my tree a couple of weeks ago and then it gets greener and greener, and then there's the bud. It really reminds me of that sprout of S's! Is this going to happen on my tree? Nothing on my tree looks like really new growth. 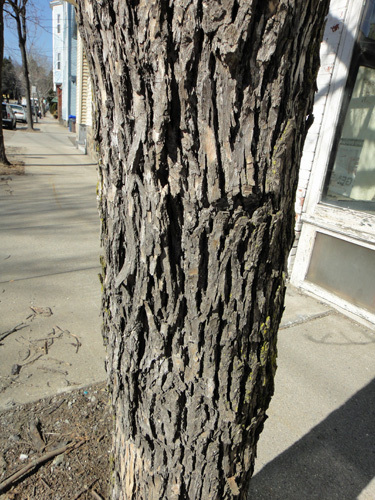 All the twigs are gray and bark-y looking, with the tips being slightly smoother and whiter. These newer parts don't have as many scars on them from old buds, but they don't look like they just grew this year. 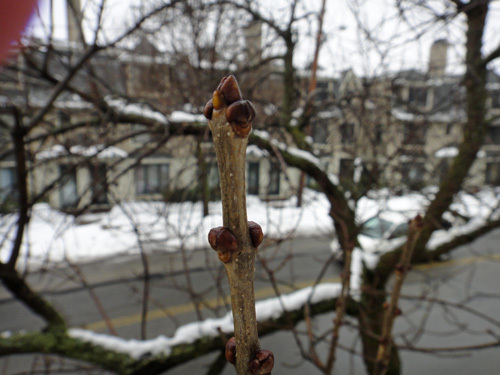 Hmmmmm..... Are all those buds on my tree's twigs going to sprout? That's a lot of buds. Is that why my tree seems to have these explosions of new branches? 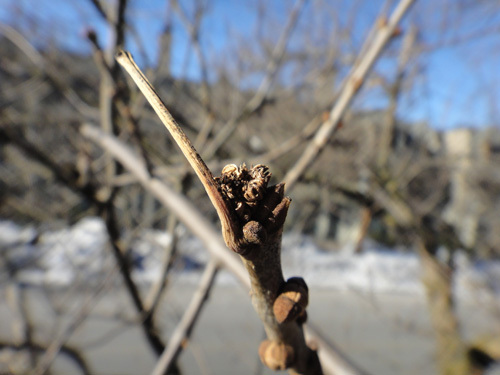 While examining my tree closely looking for any signs of sticky burrs or new leaves or anything really, I noticed that several of the branches have no buds at all. The tips of all these branches are so barren looking. They look almost broken off at the end. Are these dead? I wonder if there is any chance that their buds will grow later. It seems so sad that these dead branches are still hanging on the tree while that broken-off top branch I found in the snow was all covered with buds. I wonder if these have stayed on because they were protected from the wind and storms down here. But did that also mean that they didn't get enough light? Why did they die? And is it bad for the tree to have dead branches hanging on it? 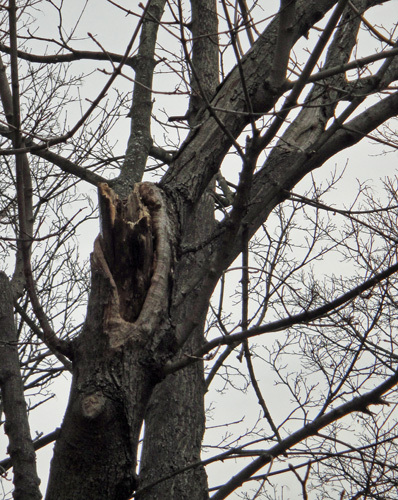 I walked around the tree to get a different look at the dead branches and suddenly noticed two spots on the trunk where it looks like largish limbs must have been cut off of my tree. And this reminded me of my little half-tree Bud on the other side of the house. So I paid him a visit to get a picture of the part that was dead for so long and then removed last year. Ugh. That is just plain old wrong looking. It looks like a tree growing out of a tree or almost like the original tree was impaled by this other part. Yikes. Despite having this rather gruesome scar, Bud actually looks fine when he's got all his leaves. He's a sweet little tree. I wanted to get a picture of the good side of Bud, so I went up on to the balcony and tried to get a photo of the crown. You can still see the section that was cut off down there, but up here you can also see the pinky/red fleshy sort of buds that are growing on the tips and ends of Bud's twigs. There are a lot fewer buds on Bud than on my tree. Different growths for different folks, I guess. 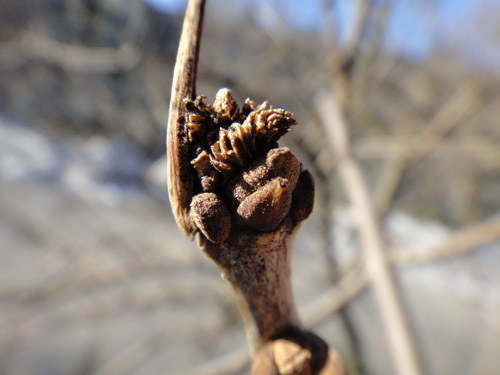 There are also lots of ridges on the twigs around the buds. Hmmm...I wonder what kind of tree Bud is??? During school vacation last week, the kids and I went to the Boston Museum of Science (like everyone else in the Boston area). The kids had a great time learning about nanotechnology and models and Mars rovers. I looked for trees. Downstairs, right behind the crazy mechanical ball contraption, there is an exhibit about scientific classification. I get to tour this area regularly because the boys need a full half hour to fully appreciate the awesomeness that is the mechanical ball machine. 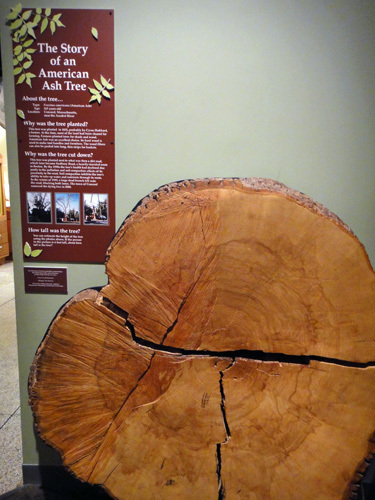 I remembered that there were some tree artifacts in the exhibit, so I started my tree hunt in there. 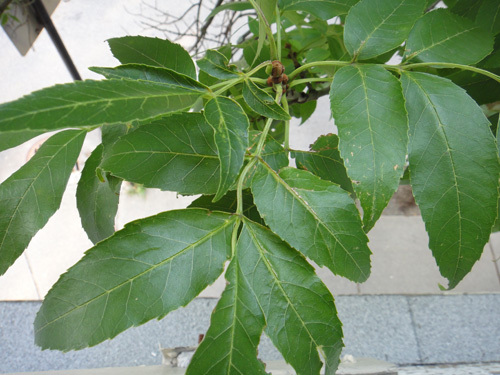 I was interested in this tree because I already suspected that my tree was an ash tree. 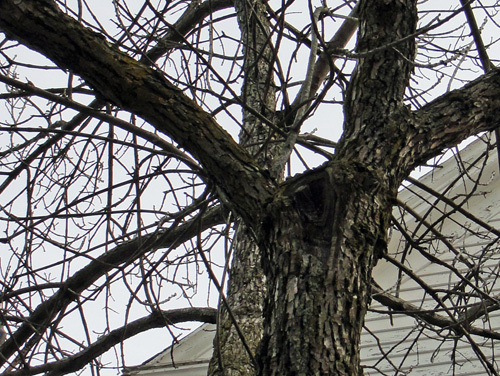 (It wasn't until yesterday that I was confident enough to say that my tree is definitely an ash.) 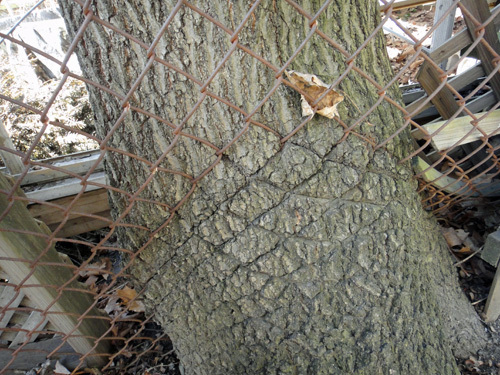 This tree lived in Concord and was 165 years old when they had to remove it in 2000. 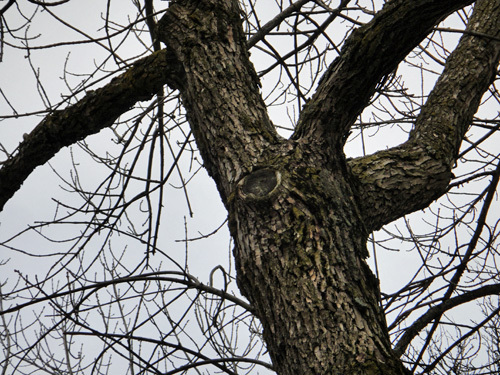 The tree was most likely planted by a farmer back in 1835 because ash trees are particularly good for providing shade and wood. Because of pollution and soil compaction caused by the expansion of nearby roads, it had begun to weaken and die. It was determined to be a danger to the cars below and was removed. I really liked how they told the tree's story. 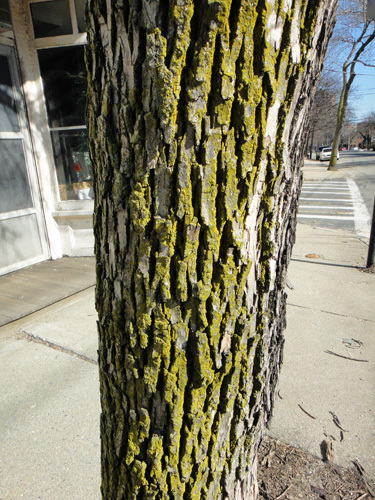 It makes me think of my ash tree and its life the city. I wonder how it is affected by its environment - a tiny three or four foot square cut out in the sidewalk. I wonder how many times it's had to be pruned and cut back for safety reasons. I wonder how long it will live before it has to be removed (like the trees on the street next to me). 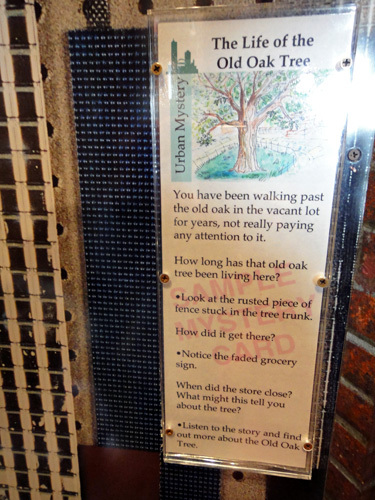 Also in this area was a little theater with the story of an old oak tree. 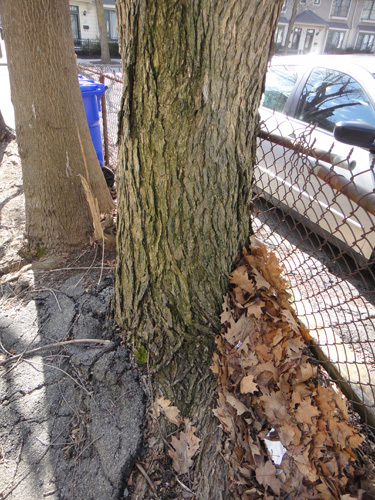 This tree's story was cleverly presented as an "urban mystery." How long has the tree been here? My little girl didn't want to go in to listen to the movie, so I only got a shot of the sign outside, but I'm sure I'll get a chance to hear it another day. My own tree is just one big mystery to me. What are the leaves going to look like? When will they sprout? What will the seeds look like? How long has it been here? I wonder if I can figure anything out about my tree's age by looking around my tree. There was another tree trunk in the kids' discovery center. It was in a corner along with two really great looking books, Oak Tree and Nature in the Neighborhood by Gordon Morrison. 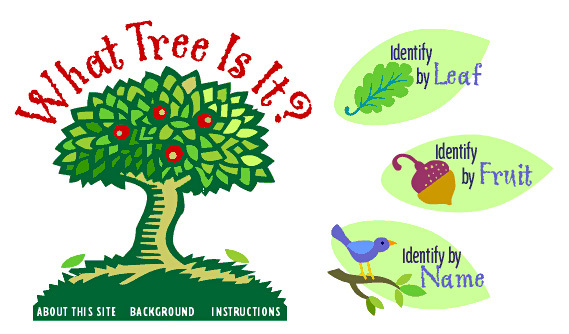 They looked like excellent resources for studying trees and nature in the classroom. 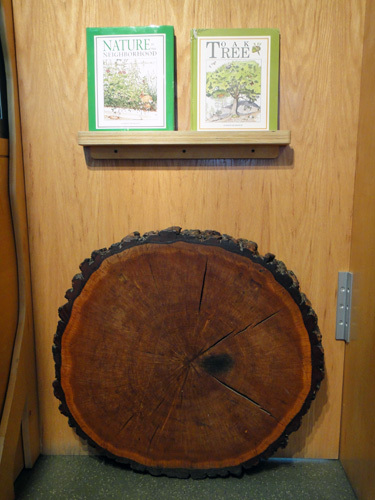 Although these are non-fiction books, they sort of tell the scientific story of an oak tree or the many habitats within a neighborhood. 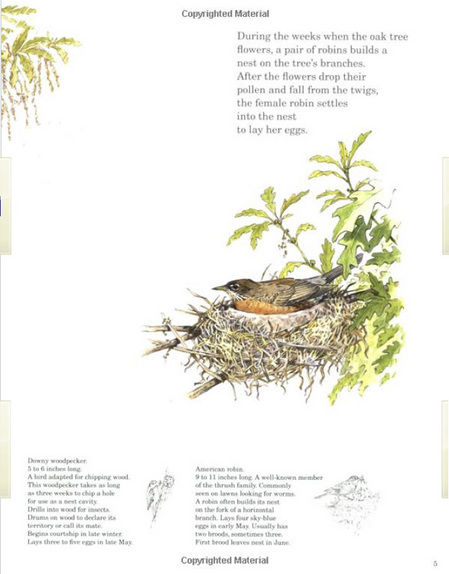 There's larger text and simpler descriptions alongside lovely, realistic illustrations as well as smaller text with definitions and more details. Check out Amazon.com for more sample pages. 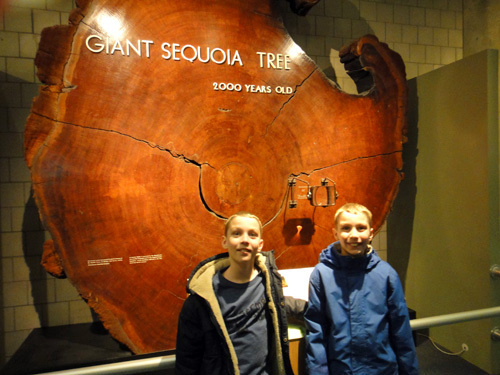 While we were on the way to the science museum, the kids told me that there was an enormous tree trunk in the museum that was like a thousand years old. I doubted that the tree was that old, but once we found it, we saw that it's actually twice as old as that! It was planted in like 60 BCE. Now that's a tree that has a story to tell! 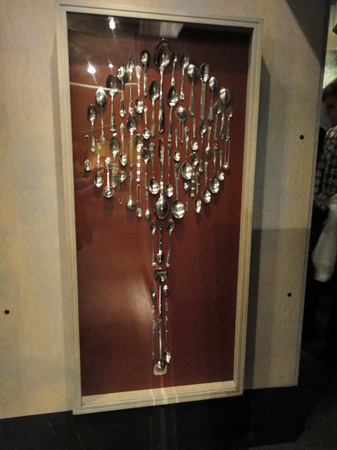 The last tree I spotted at the museum was this tree of spoons up by the lighthouse (a room where kids make funny poses in front of a light sensitive wall and then a flash goes off, leaving a sort of shadow picture of their bodies on the wall behind them). I search my tree every morning for more sticky burrs. So far I've found about 10, but all of them are too far away from my window to really get a good look at. I took a few moments the other day to draw a few that I could see the closest. 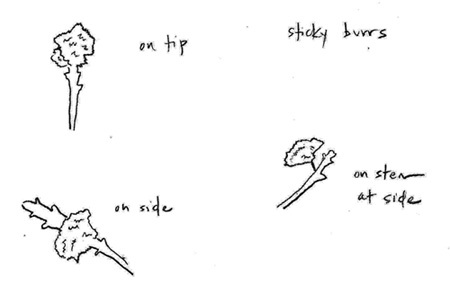 They seem to come in three different varieties: on the tip of a twig, on the side of a twig, and on a stem on the side of a twig. Here are the best photos I could get of the sticky burrs on my tree. This one is on the tip of a twig. The one is on the side. These have tiny little stems. And these seem to be growing between two branches. I wish something else would happen to give me a clue! 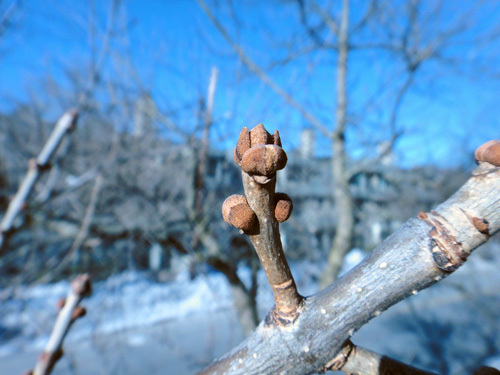 With the help of my husband, I've figured out how to take some really close-up pictures of the buds on my tree and they look much more complex than I had perceived before. 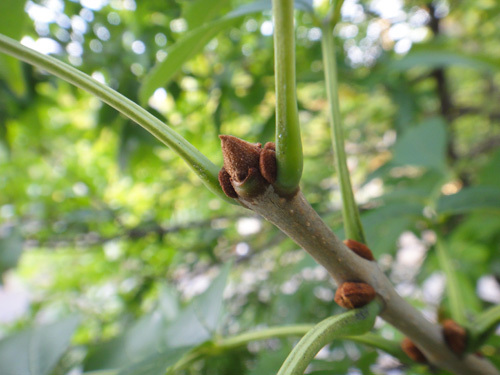 What appeared to be one simple bud on the tip of a branch now reveals itself to be made up of several different parts.There's a sort of center bud and two darker-colored, um, let's call 'em wings, on either side. 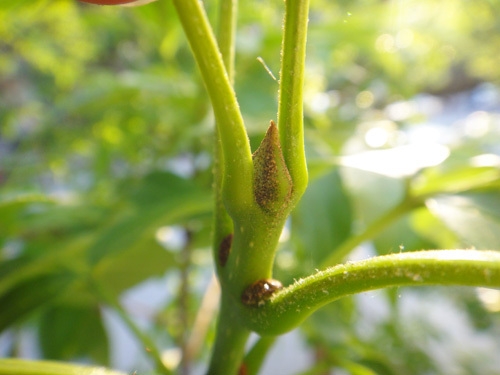 Each bud seems to have this structure. Did these wings used to cover the whole inner bud? Are they pulling away from it? Or are they growing alongside it? Or were they always there and I just hadn't been able to identify them before now? What amazes me is how this whole bud system seems to arrange itself in threes. 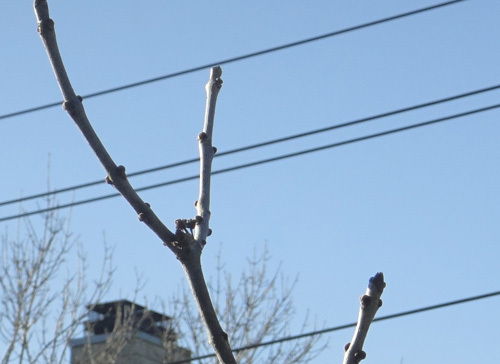 I've already noticed that the branches coming off the twigs come out in pairs - that is to say, there'll be the center branch of the twig and then two branches coming off of it in opposite directions. Like this: \ I / . Three. 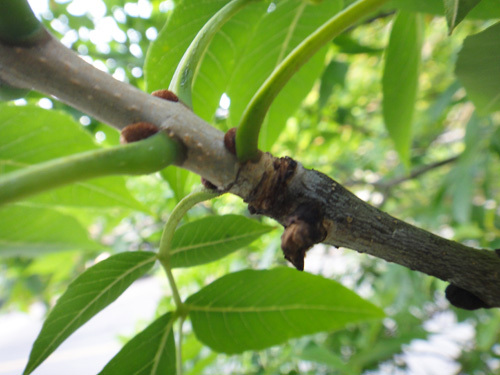 Furthermore, the tip of each twig has a center bud and then a bud on either side of it - 3 buds. 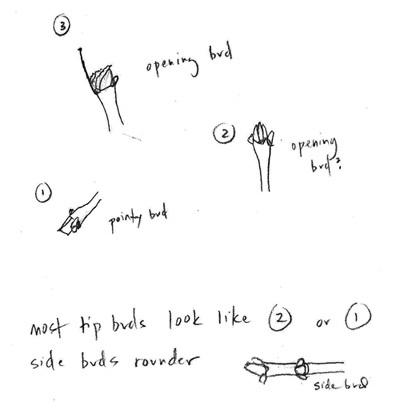 And now I see that each bud itself is made of 3 little parts, the inner bud and the two wings. Three. It's a magic number. Is that the key to understanding this tree? 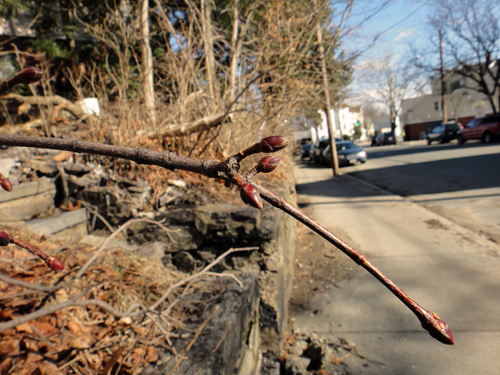 Coincidentally, the buds on my tree seem to be in three different stages. I took a few minutes to draw them. 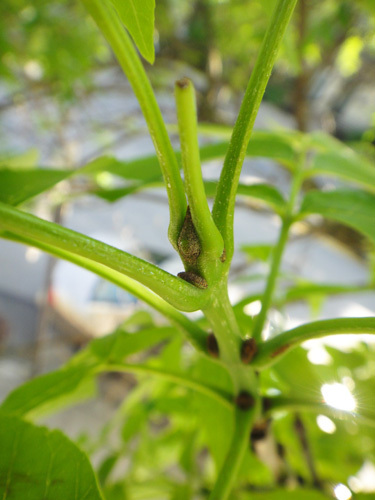 Some of the buds on the tips of the twigs of my tree still look like one single pointy bud (#1 above), but most of the ones I can see near my window look like #2. I'm assuming they're opening. Bud # 3 is the only one of its kind I can see on the tree and it is amazing! 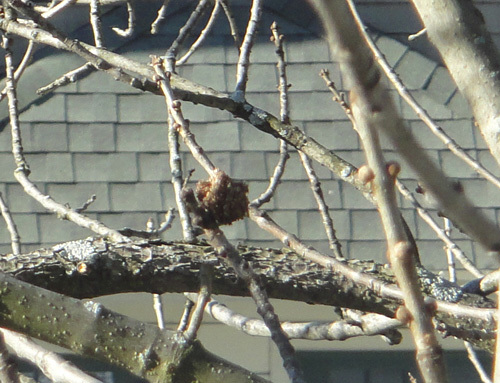 From my window it looks like a bud that is either cracking open or being pushed to the side and has something resembling the sticky burr texture inside or behind it. But with the camera, it is even more intriguing. And the super, mega, ultra close-up is insane. OMG, What is that stuff in the middle?! Is that the sticky burr thing uncurling? Is that growing from the inside of the bud? And what is that long thing on the side of it? A leaf? Some part of the twig? Did it come from the bud or was it already there? Wow. And I thought they were just buds. 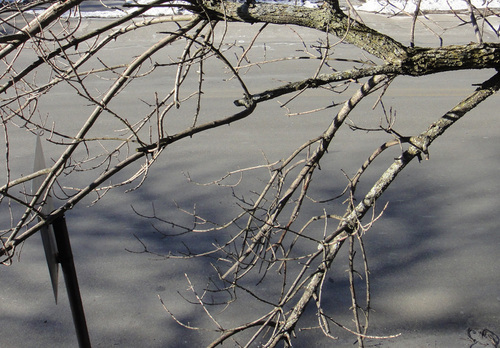 One thing I noticed when I tried to take a picture of my twig last week was that my tree never stops moving. It's so strange because when I think of plant life (versus animal life), I think of something that doesn't move. By definition. But just watch my tree for a minute. It wasn't even a particularly windy day when I took this video. How can it withstand all that movement? All the time. Day and night. What makes wood so flexible and yet so strong? 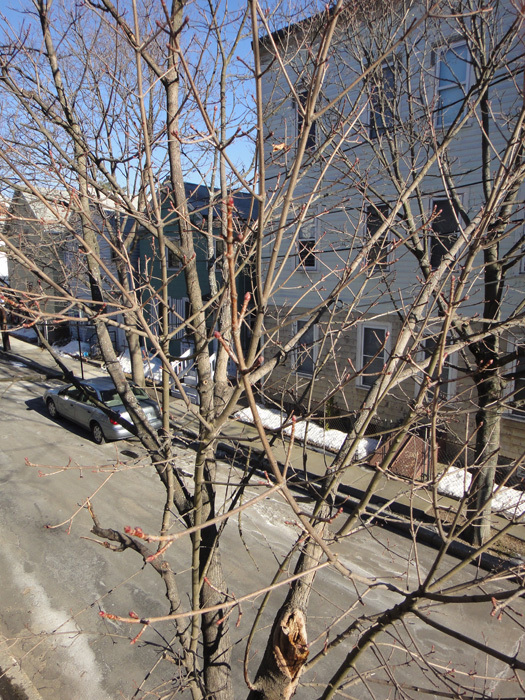 Also, isn't this tree officially dormant right now? Because it is winter and all. Don't they sort of slow down like bears do in winter? 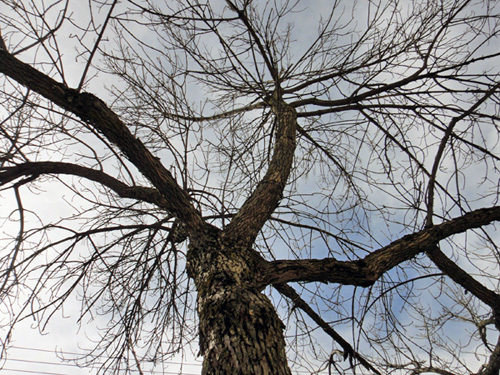 Just how long does dormancy last? Is there really no change at all in the tree while it's dormant? 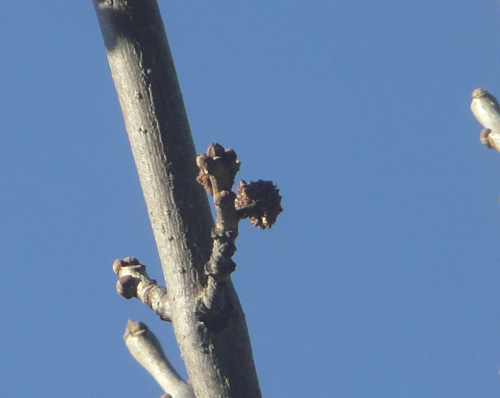 I mean, if we look at those buds, were they there before the tree became dormant? Or do they develop during dormancy? Or does their development mean the tree is waking up? Are there more things happening in that tree than the few very visible signs we see? This page is an archive of recent entries in the questions category. other trees is the previous category. roots is the next category.